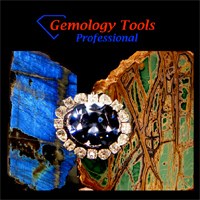 GemologyOnline.com • View topic - A new definition for Parariba tourmaline. A new definition for Parariba tourmaline. Post subject: Re: A new definition for Parariba tourmaline. In trying to keep a finger on the pulse of Paraiba etc., I have been roaming the inter net and reading some old posts. I decided to add to this post because of the following reasons. 1, I wish to apologize to Debbie K. for my posting of such negative presences to her greatly appreciated interest and addition to this post. The attitude was directly attributed to the glory seeking and irresponsible behavior of some members of the gemological community. It had nothing to do with you. 2. If I missed anything you wanted to add, Jason, when you had the time, please help me stay informed. I think you know how to post on this site, UBER being. 3. One comment on my quest for truth, justice and the American way. I have never found a single tourmaline gem on the inter net that was frankly described as being clarity enhanced. I have at least one unheated cuprian tourmaline that would be greatly enhanced by clarity improvements. But if I sent it to New York and to have it processed in a high tech bath of resin with the correct index of refraction for tourmaline, I guess it would lose its earthly existence. It certainly couldn't be sold and appreciated for what it honestly is, a rare and beautiful gift of nature that when honestly presented and priced, deserves respect and a market. I dream in color with vvs1 clarity. 12, The eye/mind has evolved over millions of years to maintain color consistency under natural light that varies during the day. Part of the refindment is assumtions about the level of light that should be return to the eye/mind from a certain amount of illumination on an object. If the eye/mind gets back more light than expected, the eye/mind is fooled into thinking that the surface is producing light. That sensation of producing light is what can be called glow-like. I'm glad that this post didn't turn out to be a decade old (found it during an unrelated search) so I don't get labeled a thread-necromancer for commenting. The quality of most of what you (Bruce) say is very good, and you are usually very careful to distinguish between opinion and fact... but if someone has presented the info in the quote to you as fact, they are severely mistaken. There are numerous angles to go about demonstrating the inaccurate nature of that quote**, but the most important one is that the claim you make ('that color perception is preserved across different conditions because.. ') is an entirely untestable hypothesis... though it is equally as important that the claim ('colour perception is maintained..') also does not appear to agree with the body of literature on psychophysics and neurophysiology of perception. Again, not trying to rag on you... Most of what you post is top notch. It's just that once you allow unchecked claims of that nature to pass u scrutinized, it opens the door to many more questionable claims, and even more dubious inferences that use those claims as a jumping off point. I am glad to meet you and your strong knowledgeable voice. It is a bit disappointed that a mistake I made, in not clearly stating that my conjecture is just that, helped me receive an interesting response. It is something I have tried hard to avoid. I will try to briefly dig into the roots of the quote you cited so you don't have to dig up any ancient post. I have written about this before. Over 10 years ago, I was having a great time buying tourmaline rough from mainly Mozambique. Copper had not been discovered in gem material from there, but I had seen cyan with exceptional present. I did nothing because I could not believe that others much more involved would have had the material tested. (also the cost) Then I received an unheated piece of rough and the finished gem appeared to change from violet in natural light to a blue incandescent light. This was very surprising to me because I had never read anything about such a color change in anything. I still did not trust my observations, so I spent most of a year (this was around 2000) testing people and they consistently saw the same change. Then I received an even better example of what I have come to call Laurellite. I felt I had to get the gems analyzed and worked with a vendor to prepare the GIA lab to expect something they had never seen before. Two years later and two articles in the G and G lab report area I got the gems back with a bill. The analytical work that was done turned out to understate the level of copper by a factor of three. Still the copper was definitely determined to a chromophore along with manganese +3. They blessed it with being a probably new variety of Elbaite and said that more research should be done, but not by them. (My own words as you might surmise.) They mentioned their "expert" on the subject of color change, who had moved on. I contacted the researcher and paid him a significant amount of money to study my best gem. He was very please to see the gem because it was a "smoking gun" that support his theory on color change that centered on the perception of color by the mind/eye that maintained color consistency until it failed and the perceived color of the gem changed. An article on this was published in the British Gemmological's journal. After being dropped by him, I continued to try and get a deeper understanding of the color changed effect. I spoke with a chemist that had worked with Kodac who explained the non linearity between hue and tone in two areas of the spectrum, blue/purple and orange/red. ( darker lines printed with the same ink change hue.) He was surprise that a simple sheet of transparent primary yellow could change the light enough to cause the Laurellite to change color. After taking exception to the postulated effect on color by trace elements found in tourmaline, that had been published, I had to move on. My Laurellites and in cases other cuprian tourmalines, have been around the world, Japan, Switzerland, and even New Jersey. I have waited years for the return of the gems from one lab without any data, they were willing to share. The latest effort was in California and necessitated the sacrifice of material to try and understand Laurellite. I have decided that I have to go beyond the gemological establishment to make any progress with understanding what is different about the a cuprian Elbaite, with an apparent reverse alexandrite color change, from material with a similar composition that does not do the same. But I am tired of being ignored by university research labs and taking risks with my Laurellites. Time is important because the trade has next to no interest in it and heating it would produce the new precious gemstone "Paraiba". With that monetary incentive I think that any decent example of Laurellite will go the way of the Dodo bird and purples from Paraiba Brazil. Finally, the speculation on the glow like property of some tourmaline is my own explanation for an effect that I have seen emphatically. And not just with cuprian tourmaline. It is based on the Laurellite saga and evolving ideas about color change. You are absolutely right that speculations right or wrong can mislead people without being clear that it is no more than an idea. I have seen it with early papers on Paraiba that were never followed up by published research to correct or elaborated on the paper's speculations, based on new research. Still if my efforts and mistakes have reach someone who could help with the understanding of Laurellite that is great. I have never had the resources to go where I want to go. Thank you for your post. Great post, Thresh, and great response, Bruce! Bruce, if you get a chance watch this presentation by Aaron Palke(GIA) on the causes of color in blue spinel, specifically cobalt spinel. I like the ideas on when a Co spinel is, and when a Co spinel isn't, thereby defining what title(name) should be used to either describe it, market it, or sell it under. Paraiba tourmaline should have a similar set of parameters defining what is, and what isn't .....based not just upon the presence of Cu2+, but also on its hue, tone, and saturation. In my dreams, I see a place where the sun always shines, where the birds are always singing, and where only the "vivid" cuprian tourmalines were allowed use of the influential title....."PARAIBA TOURMALINE". Thanks for the support and the video. I really appreciate any help I can get on copper bearing tourmaline. I wish that copper bearing tourmaline was as simple as spinel for the following points. 1. Copper and iron produce the same color in tourmaline. 2, The difference in the glow like quality of some copper bearing tourmaline is probably effected by iron, and pure iron colored tourmaline is probably not as good a generator of glow as higher quality copper bearing tourmaline. But glow is a lot harder property of tourmaline than color to study. Who has even started to set up a standard? Still it is a very important part of a tourmaline's value. 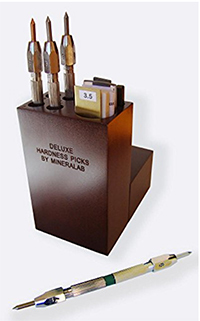 3 , There are at least two other chromophores than iron and copper that influence copper bearing tourmaline, manganese, and a yellow color center that has not generally been accepted. This rich mixture of coloring agents can lead to complex heating procedures that I have never seen clarified or even said to be known by any gem lab. 4, One last note for now. I have not seen a study that relates tone value of copper bearing to the concentration of copper. Because of the dichroic nature of tourmaline the last samples I gave the GIA, to be studied with their equipment was destroyed in the process. With the cost of any transparent material, how many pieces of suitable material will be offered to be tested? And it is impractical to synthesize Elbaite/tourmaline and dop it with varying amounts of chromophores to support a linear relationship between tone/color/saturation in tourmaline like you can with spinel. I certainly agree that tourmaline should have have exceptional properties to be called cuprian and be worth the price. I have a problem with the definition of Cobalt spinel here. 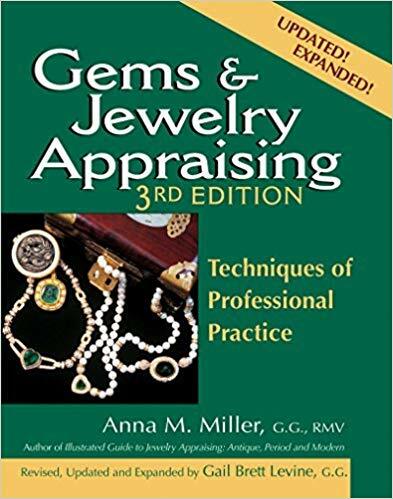 Especially compared to GIA defintion of alexandrite and maybe Paraiba ( Tourmaline - sorry Bruce - is not my favorite gem so I need more infos to talk about them here). Maybe worth to open a new topic, Jason? Thanks for posting informative video , Jason. Back to color perception - Edwin Land did a lot of famous experiments in this area, and the human eye is remarkably good at perceiving color in various environments as a constant. "At the end of a long evening of experimenting with three projectors, Land decided to go home. A colleague had shut off the blue projector and had put the green filter away, leaving an image of red and white light. Another colleague, Meroè Morse, remarked to Land that the colour was still there. Land replied ‘Oh yes, that’s colour adaptation’. The group went home. At about two o'clock in the morning, Land sat up in bed, saying ‘Colour adaptation, what colour adaptation?’ He got out of bed, went into the laboratory and started three decades of experiments on complex images." If I remember right, he showed that the eye worked on the derivative of the amount of color that hit the retinas rather than absolute value, and as a result, was good at perceiving color "the same or similar" in many different lightings. I would like to dive into eye/mind's ability to maintain color consistency according to an expert chemist that use to work for Kodac. He was not too impressed with the work done in the paper that had been published in the British Gem magazine about the cuprian reverse alexandrite color changer. I don't think he had an hypothesis for my tourmaline's exceptional color change, but he did try and explain to me how printers maintain color consistency in the lines they print. To emphasis the complexity of the research that had been done on generating a color formula for the blue/purple area, he placed a small phone book sized document on the table before me. It had come from a couple day presentation that Kodac had paid for, in which an expert explained the math. After the expert left the Kodac people completely rejected the math as too difficult to incorporate in the printers and built a a look up table out of empirical data. I did not crack the paper, but I was more positive, than ever, that my blue purple tourmaline was a weird one and probably still of some scientific interest. And so I continue to think about tourmaline and the research that could be done.